The Pensnett Estate in the West Midlands is one of the largest secure industrial estates in Europe, providing offices, warehouses and industrial units for 200 companies within an area of 185 acres. The Estate is owned and managed by LCP with a commitment to good maintenance. 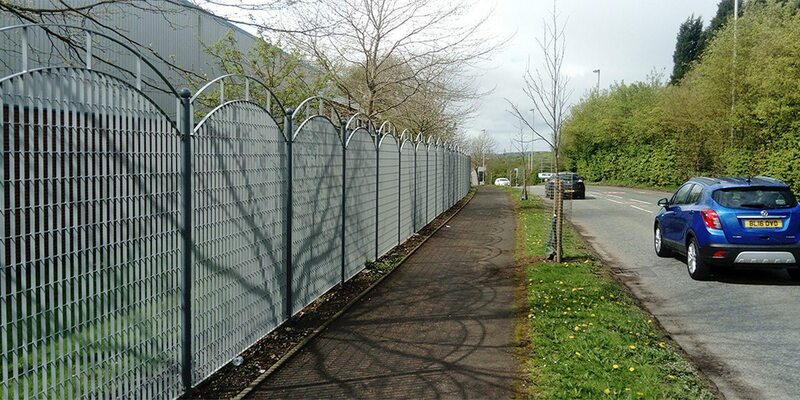 Aa part of on-going programme to replace the existing Pallisade fence, Lang+Fulton have supplied the second phase of customised Roma-3 fencing. 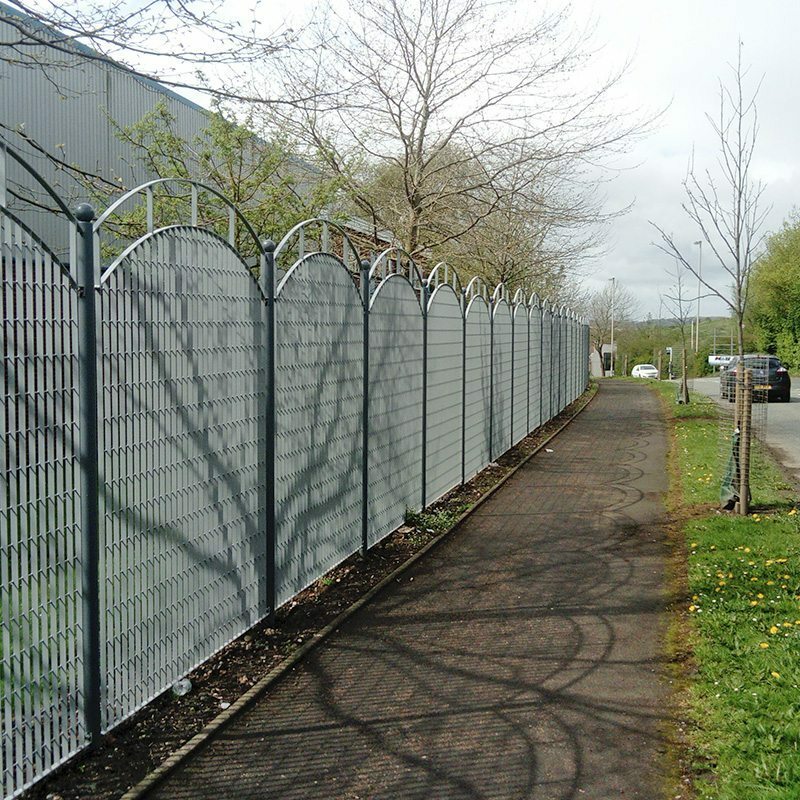 Phase II for the North boundary has comprised 690 metres of 2.4m high fencing with a bespoke bowed top and finial detail as well as three sets of double entrance gates and 6 pedestrian gates. Finish: Panels hot-dip galvanized and ppc RAL 9006 silver. Posts hot-dip galvanized and ppc BS 18 B25.